For many, CRM trends for the New Year seem pointless for three main reasons: long technology development cycles, the industry’s obsession with one or two big ideas over the course of multiple years, and journalists’ penchant for trends that are either too obvious or too outlandish to really drive value. But, thanks to some hyper-development in CRM (and tech in general) driven by AI, mobile and the cloud (as well as some less obvious drivers like GDPR), we’re finally seeing some interesting changes take shape and fuel new possibilities. Given this backdrop, I’d like to offer some CRM trends that could actually be worth considering. Despite ongoing rumblings about AI and machine learning meshing with CRM software, we haven’t seen a lot come of the hype yet. But, as AI finds more practical use cases inside the lead-to-cash lifecycle — and especially given that we currently live in a subscription economy (more on that later) — I believe we will see the emergence of a separate category, “Relationship Intelligence,” which is somewhat separate from core CRM. Big data, AI and machine learning are coming together to drive insights in new and exciting ways for customer-facing employees. These insights can be delivered as SaaS/cloud services. While they might leverage some CRM data, the real gems are found in the oceans of data outside the corporate firewalls. By adding algorithms to this data and feeding it to employees, we can make anyone in the organization a relationship expert. This holds a lot of value in B2B, but also in more retention-focused B2C worlds. 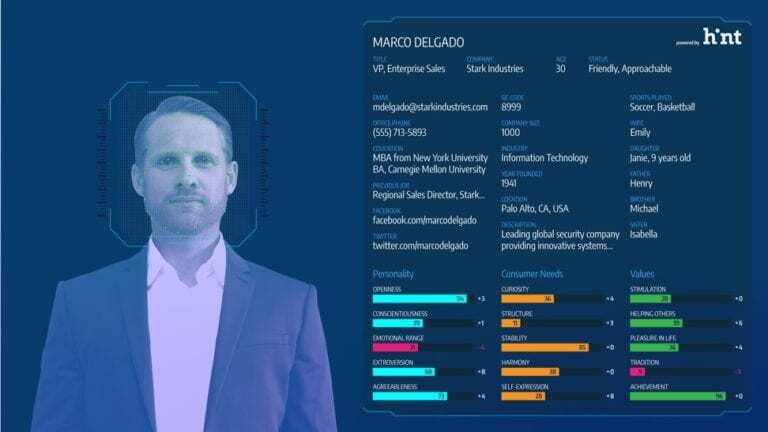 Also, the fact that these tools can act as an “overlay” opens up a new competitive landscape for the players involved, where a new best-of-breed scenario might emerge and where some CRM leaders may see their customers opting for Relationship Intelligence tools provided by other vendors. Many will agree we are in the age of the “subscription economy.” While not everyone sells a product or performs services under a renewable contract, the subscription model is affecting everything. Simply put: Customer retention and satisfaction are more important than ever. The CRM systems we have been building for years have focused primarily on new business with a side of customer support typically in a silo of a call center or help-desk tool. This must change. As workflow and other analytics become both more sophisticated and easier to consume for the average user, CRM must include more insights into customer health, likeliness to churn, and steps an employee can take to ensure a win-win growth of customer lifetime value over time. The technology is there today in many CRM portfolios. The key is offering these features as simple, out-of-the box tools in a world growing more and more reliant on repeat business and recurring revenue. Just as the Relationship Intelligence category might shake up the competitive landscape in CRM, the desire for fast, agile CRM deployments will result in a lot of CRM buyers rejecting the “old guard” as over-featured, over-priced offerings. Instead, they will opt for solutions that provide strong core CRM functionality, which can be configured quickly to react to changes in the business or in customer expectations. A recent survey of hundreds of CRM users revealed that nearly one-half of respondents felt “oversold” on their CRM purchase. The bells and whistles in the big enterprise CRM providers’ solutions aren’t needed by a very large portion of businesses. The providers that offer the core features across the marketing-sales-support spectrum at a solid price point and with simplified add-on/configuration models will start eating into the big guys’ business — if they aren’t already. It’s long been known that the eight-hour work day is irrelevant to the workforce of today and tomorrow. In a results-oriented world, the 9-to-5 grind seems like an arbitrary concept, married to the Industrial Age where employees labored at looms and then assembly lines until the proverbial whistle blew. Today, we can be just as effective at home or anywhere else as we would be in the office. Broadband ubiquity, advancements in mobile business tools, like mobile CRM, and the advent of modern video communications tools mean we can stay connected to our co-workers, and more importantly, our customers, in ways we couldn’t even imagine doing at the office a decade ago. Modern CRM tools will help employees and employers discover a new world of work-life balance. We will quickly move to even more effective ways of telecommuting. This is because we now have access to mobile and collaboration tools that increasingly take physical presence out of the equation. In addition to off-the-shelf versions of virtual meeting and collaboration tools, purpose-built mobile tools make it easier than ever to create and manage, pushing more employees out to the edge where their customers are instead of in a cubicle all day. We call this concept “work like you live”, with less routine drudgery and more impactful moments with our associates and our customers. We think the congestion of morning commutes and the dreaded monotony of cubicle farms will start to fade away very soon. Journalists and other industry observers like to crown kings, usually well before the battlefield has even been defined. A lot of early SaaS providers became anointed kings of the cloud market, even before we had an accurate picture of what cloud CRM — or even “cloud” in general — really meant. As concepts like GDPR (General Data Protection Regulation), a more sensitive global client base around data security, and other drivers push the limits of first-generation SaaS CRM, we are seeing a renaissance of truly cloud-powered CRM models. Private and hybrid cloud, dedicated SaaS — all these subtle permutations of cloud fit the more accurate use cases and requirements of global businesses of all sizes. The war over cloud CRM dominance is not over; in fact, it really hasn’t even started. There is a lot of opportunity for everyone in the cloud CRM world when one considers just how sophisticated the concepts around cloud CRM truly are. Both providers and CRM buyers will see some shakeup as business drivers create a need for more diverse cloud CRM alternatives. 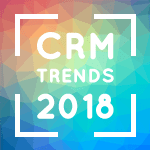 These are just a few of the trends for how the CRM world will shape up in 2018. While we have yet to see if they will come to pass, one thing is for sure: The pace of change is faster than ever. This presents lots of opportunities for providers, but more importantly the CRM users. The world of CRM continues to be one of continued innovation, that’s for sure.